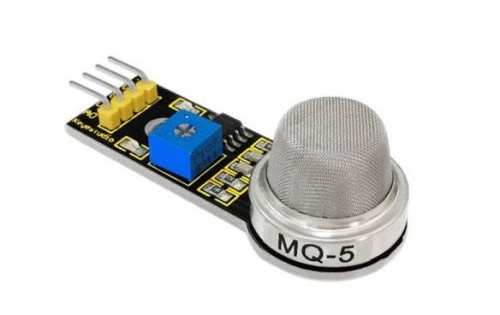 The gas sensitive material used in MQ-5 gas sensor is SnO2, which is of lower electrical conductivity in clean air. When there is combustible gas in the environment where sensor resides, the electrical conductivity of the sensor increases with the increase of the combustible gas concentration in the air. The change of electrical conductivity can be converted to the output signal corresponding to that of the gas concentration by using a simple circuit. The sensitivity of MQ-5 gas sensor to propane, propane and methane is quite high, and the methane and propane can be well detected. This sensor can detect a variety of combustible gases, especially natural gas, making it a low-cost sensor for a variety of applications. It has high sensitivity to liquefied gas, natural ga`s and city gas, almost no response to ethanol or smoke, which makes it excellent in anti-alcohol and anti- smoke interference. 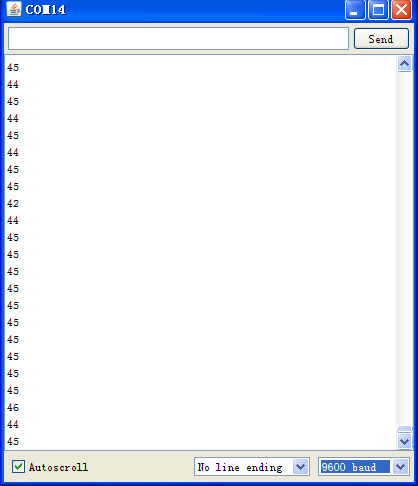 This page was last edited on 19 April 2019, at 08:32.